It is with great sadness that we report the passing of Paul Lawrence on Christmas morning after a long and courageous battle with cancer. We pass on our sympathy to the family, friends and jazz friends of Paul. 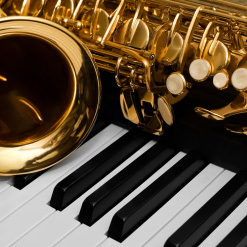 He played a major role in the history of Upton Jazz and was Chairman for several years. 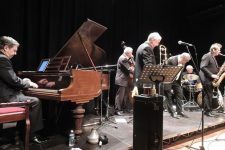 He kept the flame of Jazz burning by promoting and organising regular Friends of Upton Jazz concerts attracting international talent to entertain us. A full tribute to Paul will be circulated in the next few days and we will be celebrating his contribution at this year’s festival in June.